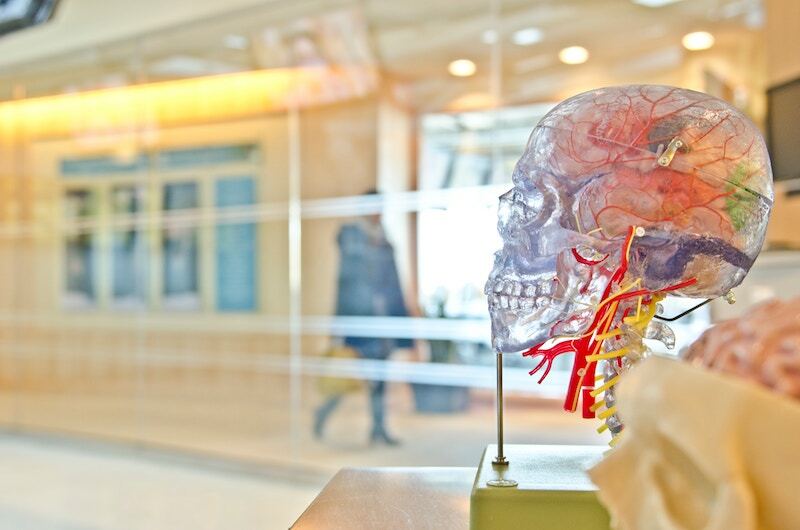 The NIHR Brain Injury MedTech Co-operative interacts with a number of NHS and academic centres as well as startups and SMEs that are seeking to research and deliver solutions to patients suffering with the aftermaths of a brain injury. These interactions highlight a number of key issues, not least, the complexity of identifying patient needs to optimize treatment, the need for methods to measure effectiveness, the resources to trial devices and interventions and the development of convincing economic cases to permit adoption within the UK. To achieve its aims the MIC is establishing a number of key strategic partnerships to deliver both core and thematic expertise. In selecting strategic partners the role of other partner organisations is not to be diminished. Obex Technologies commits to provide the core support for informatics tools including the rehabilitation prescription, clinical registries, a directory of services and outcome measures as well as the necessary IT platforms to manage public and patient registers focussed on Brain Injury. Cambridge University Hospitals NHSFT – Clinical Engineering (CE) will provide MedTech development support for early phase product development. CE is ISO 13485 certified and responsible for R&D governance involving medical devices they will provide definitive guidance to developers on strategies for Med Tech development. It can facilitate concept development, including basic prototyping of mechanical and electronic devices. The Cambridge Biomedical Research Centre (BRC) will coordinate PPI/E expertise and resources. The BRC and PPI/E activities are aligned across the local NIHR infrastructure. A ‘PPI/E Research Oversight Group’ has representation from the Patient and Public Governors of each of local Trust partners. The group provides oversight of PPI/E activities and reports to the Cambridge University Health Partners Board, which includes the Chief Executives of the NHS partners and the VC of the University of Cambridge. There is a close working with the Collaboration for Leadership in Applied Health Research and Care (CLAHRC) East of England. Involvment of research funders and chairities in PPI/E is a strategic priority. Through the BRC led partnership the proposed MIC will promote and maximixe opportunities for PPI/E and participation in research. It will also provide resources to build capacity through training and support for patients and public. University of Cambridge (Institute for Manufacturing (IfM), (Engineering Design Centre (EDC)) will support the prosposed MIC by providing Roadmapping expertise to support unmet needs identification. Further, in association with the Cambridge Service Alliance, the IfM will allow the MIC to access expertise in business eco-system modelling. The IfM and the MIC will jointly work towards developing an in-depth understanding of how value is created within the eco-system of the brain injury pathway and in particular how technology and service delivery structures impact the value chain. This strategic partnership will build upon existing health economic modelling approaches to identify more widely how value is created and can be utilized by the healthcare ecosystem. The EDC will provide expertise in the application of its ‘Inclusive Design Toolkit’. Structured analysis of the brain injury pathway with multi-professional input including options for pathway redesign and technology needs. Registration and engagement of patients and carers into the MIC PPI/E register to support R&D. Adoption of the rehabilitation prescription, based on the SBRI funded ORION Platform, locally with the development of key outcome measures to facilitate the analysis of clinical interventions. Input into the development of a clinical trials network for brain injury and in particular rehabilitation technologies. SME interactions in relation to product development and evaluation. Access to resources to develop MIC activities including educational and dissemination programmes. Imperial College(IC)/Queen Mary’s Hospital. The MIC will work strategically with Prof George Hanna and Dr. Mark Wilson across three key areas; Health Technology Evaluation Methodologies, Education and Training in MedTech development and Clinical Practice. Mark Wilson will provide access and expertise in the area of pre- hospital medicine including primary and secondary prevention of brain injury. Prof Hanna will support the development of the Orion Informatics platform through the IC/MTC. University College London/UCL Partners Centre for Neurorehabilitation through Dr. Nick Ward will provide access and expertise in physical rehabilitation. The dedicated Upper Limb Neurorehabilitation service at Queen Square assesses 250 and admits 100 patients a year to a 3 week in-patient program. The team has expertise in using robotic technology for the upper limb (Hocoma, Tyromotion, VirtualWare, Saebo) as part of the program. This provides the environment for evaluation of novel therapeutic approaches. University of East London(UEL) Neurorehabilitation Unit through Professor Duncan Turner will bring expertise in early stage evaluation of robotic and assistive technologies and of larger clinical Health Technology Assessment programmes for advanced rehabilitation technologies. Professor Turner can provide access to a wider evaluation network enabling the MIC to support SMEs in the deployment and testing of advanced rehabilitation technologies. University of East Anglia through Professor Val Pomeroy will strengthen an existing partnership with the Acquired Brain Injury Rehabilitation Alliance (ABIRA; http://www.abira.ac.uk). ABIRA provides working links between clinicians, statutory services, “voluntary “services; academia and the public. Current work includes: implementation of Apps into clinical practice to enable evidenced-based physical therapy in the home with remote monitoring by therapists and testing the feasibility of clinical implementation of Apps. The ACPIN Move- Tec network has also been established as a resource to enhance the translation of technology into practice. Oliver Zangwill Centre through Dr. Andrew Bateman and his team will provide a particular focus on neuropsychological rehabilitation with three key themes i) development of assessments, ii) development and implementation of innovative therapeutic interventions and iii) evaluation of neuropsychological rehabilitation outcomes. The team has a track record of high quality research in assistive technology evaluation in people with neurological conditions. Through the international visiting scholar scheme the Centre offers connection with research groups most strongly in the Brazil, Cyprus, Japan, Spain, Norway and USA.